Japanese auto giants Honda Motor Co., Suzuki Motor Corp. and Toyota Motor Corp. have started the development of strong or full hybrid vehicles for Indian roads and are planning to launch them by 2021 year end, stated reliable sources with knowledge on the matter. The carmakers have seemingly been encouraged by the assurance of the Union government that there would be no differentiation between electric and hybrid cars while providing financial incentives to the manufactures of eco-friendly vehicles. Sources said the companies can be initially expected to offer locally produced midsize sedans with hybrid technology. Reports indicate that companies from Japan have mostly been focused on petrol-electric hybrid cars, even though worldwide demand for battery-powered electric vehicles is growing. The automakers have combined forces to lobby the government of India for extending the financial incentives offered on electric cars to hybrid cars as well, the sources mentioned, citing the superior fuel-efficiency of hybrids as compared to diesel and petrol vehicles. Sources added that the Indian government is aiming to promote local production of lithium-ion batteries, to be utilized in both electric and hybrid vehicles, for curbing the rising pollution in cities. Under a partnership to develop hybrid cars for India, Suzuki and Toyota have begun developing a common platform called GAC, largely being developed by Toyota. GAC would supposedly be used by both companies to make their respective hybrid models for India as well as other markets. Further from the sources, Honda has also recently unveiled its plans to launch hybrids in India, with its first full hybrid reported to be the next generation Honda City, a midsize sedan. The diesel and petrol options of the next-generation City would allegedly be introduced in India by 2020, with the hybrid variant planned for 2021. 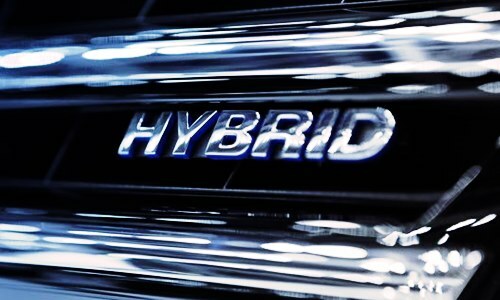 Experts believe bringing in hybrid technology through its most popular product is a sensible move by Honda.